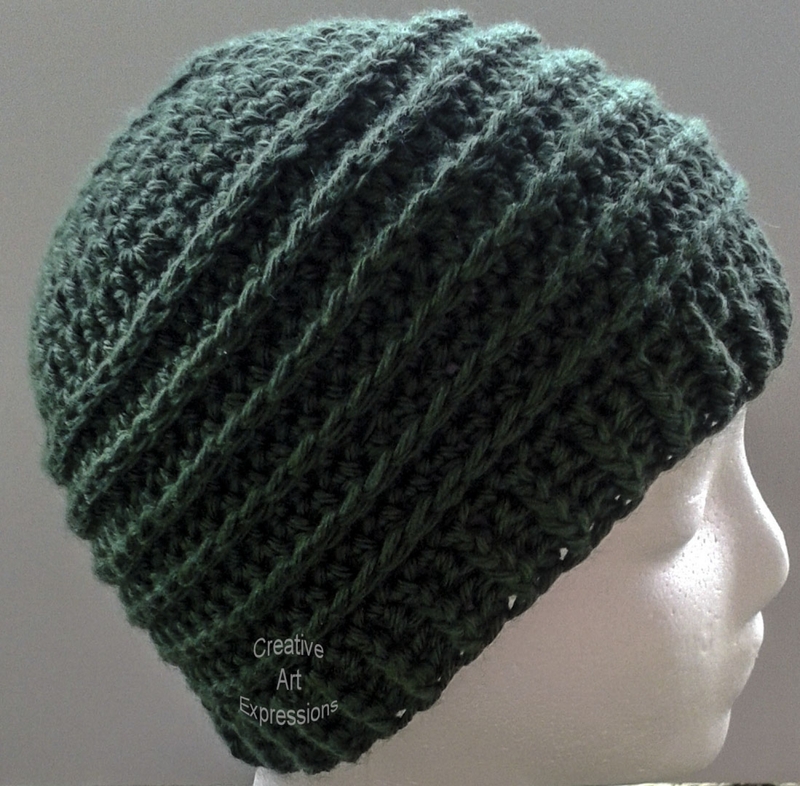 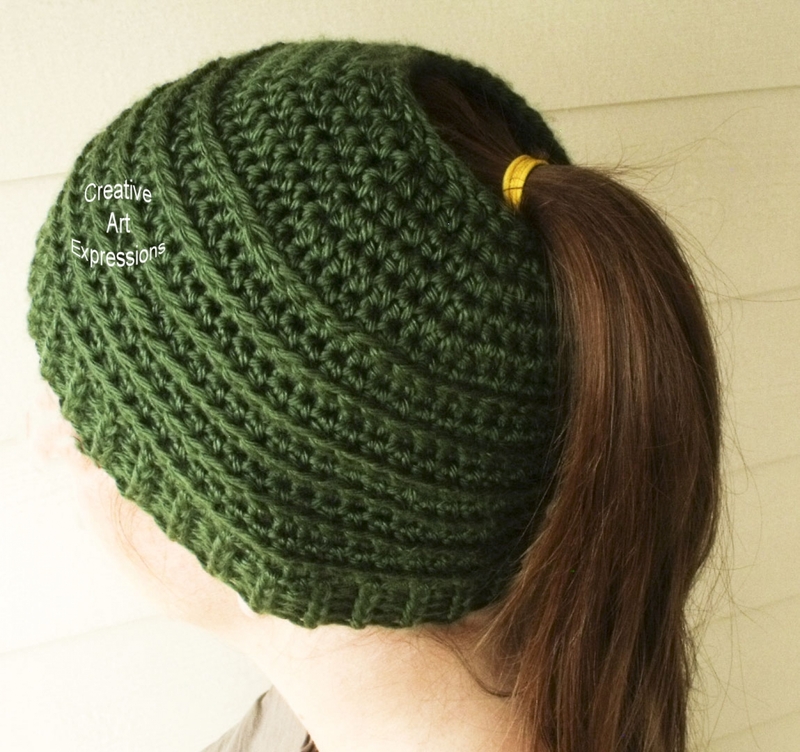 Messy Bun Hat Beanie, Pony Tail Hat, Crocheted Adult Hat in Green is ready to ship! 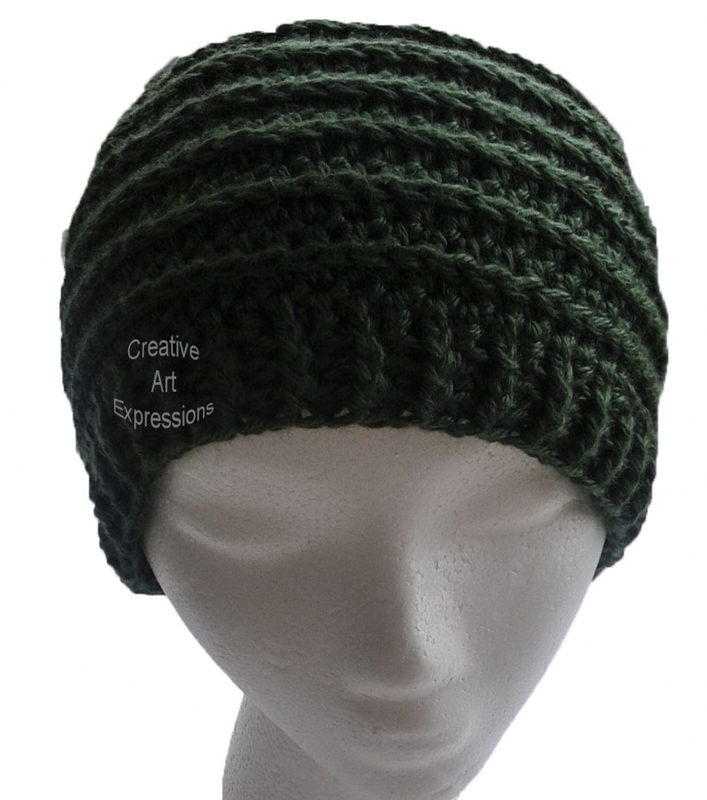 It is made with 100% Soft acrylic yarn It is machine washable and dryable, however I recommend air drying to keep the fuzziness down. 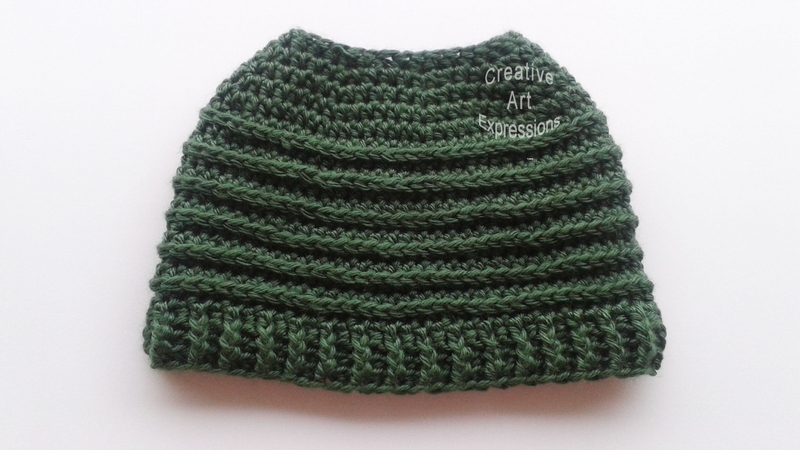 The dimensions are: 10" brim along the bottom of the hat, 7" length from top to bottom, and the hole at top is 4.5" wide.